The word inspiration has almost become cliché these days. It’s so overused the true meaning has been diluted and cheapened. Yet there’s no denying that the words others say to us can have the power to, well, inspire. I’ll never forget the World 24-Hour Championships in Seoul, Korea. The conditions were dreadful, hot and humid with appalling air quality. There were too few toilets on the course and many of the runners were becoming sick. The stench was overpowering. By the 10-hour mark the U.S. team was falling apart, as was nearly every other team. Many of the runners audibly groaned as they stammered along, the medic tents increasingly filling with each lap. I was approaching one of these medic tents when I noticed a fellow teammate, Roy Pirrung, sitting on the ground with one of his shoes off. Roy is a guy I greatly admire and perhaps the toughest motherf*er I’ve ever met (can I say that in UltraRunning magazine?). As I grew nearer, I saw what appeared to be a freshly lanced marble-sized blister on his toe that was oozing puss and blood. As I ran past him, face ashen and grimacing with agony, Roy looked up at me, too much of a gentleman to say the words aloud, and silently mouthed, “I love this sh*t!” Whenever I’m facing a rough patch, I reflect back on that stirring lip-sync. 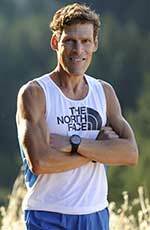 Mike’s since gone on to finish more than 50 ultras, run a sub-2:30 marathon, finished eight Ironman races, broke 13 hours at the 100-mile distance and made the Top 10 alltime list in North America. ’Nough said. David Krupski “‘It’s on you.’ Simple, empowering and completely direct. If you want to accomplish something, change something, whatever it is you want to do, it’s on you—and you alone—to do everything necessary to reach your goal. Michelle Barton “Last summer I was running the Sinister 7 100-miler and started unraveling at mile 82. By the 88-mile mark I could barely hold a decent jogging pace. There seemed no way I was going to make it; a DNF seemed inevitable. All hope was lost. I hope these stories help to inspire a belief in yourself. Dean – your stuff always inspires me. The book “Ultramarathon Man” was a life-changer for me. It was fun running with you in Dallas on the Katy Trail a couple of years ago.